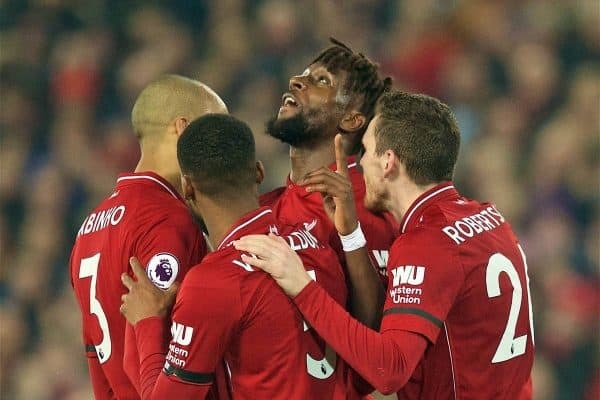 Divock Origi has addressed his bit-part, but crucial, role in Liverpool’s impressive end to the season, showing an excellent attitude after fighting his way back. Origi looked to be down and out at Anfield after a disappointing loan spell with Wolfsburg last term, and the club fielded big-money offers for his services last summer. But after turning down a £22 million move to Wolves the Belgian stayed on Merseyside, and spent the first three months of the campaign out of favour. His sole contribution up to then was a one goal, one assist showing for the Liverpool U23s against Swansea in September, but in November, Jurgen Klopp handed him his first senior appearance of the season at Red Star. Origi has now made four starts and a further nine substitute outings, scoring three and laying on one, averaging a direct goal contribution every 98.5 minutes. And speaking to the Liverpool FC Magazine this month, the 23-year-old gave an insight into his approach, changing the game from the bench. “It is a squad game and, like I have always said, I try to shine my light whenever I get my opportunity,” he said. “I focus on what I can do to help the team in whatever capacity that is. I just have to stay positive. “I know that we have big goals so whatever role I am asked to play, I am happy to do that. It is perhaps the final line that is more relevant here, as it suggests while Origi is content with his role currently, he will be looking for more in the near future. 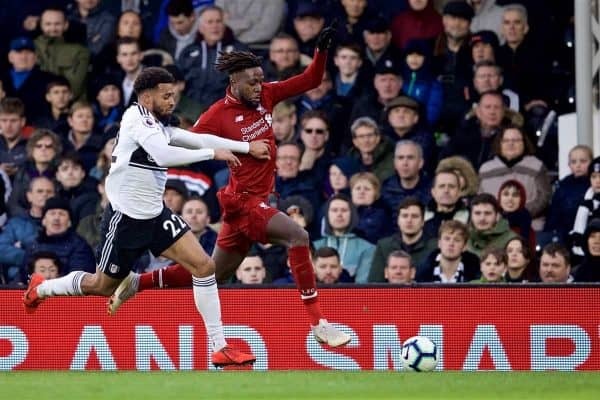 It is unlikely Klopp can find a regular starting spot for him at Liverpool, but Origi’s versatility has seen him move ahead of Daniel Sturridge in the pecking order on the bench. Since his first game of the season in Belgrade, the forward has played 395 minutes, while over the same time Sturridge has clocked 337. 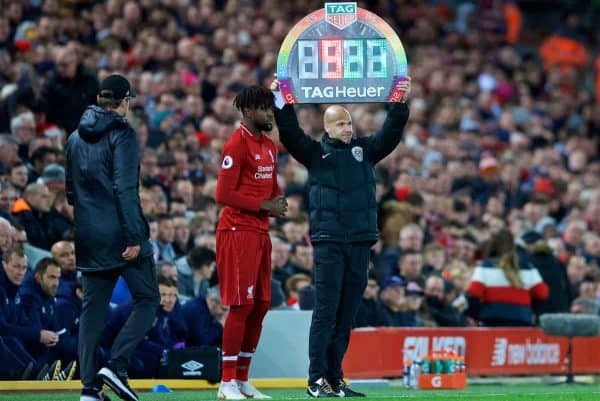 Many of Origi’s appearances, including a goalscoring 90 minutes against Watford in February, have come out wide, and he continued to showcase his commendable outlook when discussing this duty. “I loved that role. Even in the youth teams, I used to play up front and on the wing so I’m comfortable in both positions,” he explained. “People have maybe seen me more up front in the last couple of years but I totally love it on the wing as well. “I enjoyed linking up with Sadio and Mo but of course they are top players which makes it easier for me and I think it was just about having fun. 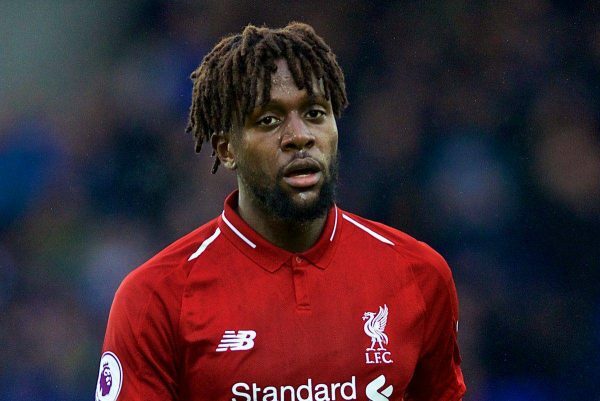 He may not be the most popular player in the squad, but Origi has been quietly influential this season, and if Klopp can convince him to stay it certainly wouldn’t be a bad thing.